When you’re facing a high dynamic range scene, it’s easy to just give in and bracket multiple exposures to merge into HDR. This is particularly true in landscape photography, but you can get high dynamic range scene in literally any situation. Apart from becoming a photographer with the technical ability to create good images, we should also develop the right mindset and skills to make good judgement. In this case, the knowledge to decide when to do HDR photography. Although HDR photography may be the solution to the problem, a quick think outside the box may help you “get it right” in the camera. Not only it saves you time in post-processing, you’d avoid doing HDR unnecessarily. In this article, I’m going to share with you several tips you can do to optimize the dynamic range of your image. If you think about it, the two factors that determine whether an image has the full dynamic range of the scene are (1) the dynamic range of the scene and (2) the dynamic range of the camera. I know this sounds obvious, but if you breakdown the problem this way, the answer as to how you can optimize the dynamic range in your image becomes clear. At first glance, this may sound impossible. How can you play mother nature to manipulate light? You can’t...but you can work your way around it! A typical example is in portrait photography. When you photograph the subject with the source of light coming from behind the subject, you're likely end up with an image that is correctly exposed for the background but underexposed for the foreground, i.e. your subject. To overcome this problem, use a flash gun to fill in light for the foreground. You can use the flash on or off camera, it doesn’t really matter. The disadvantage of this is the extra gear and weight you have to carry. Also, if you’re not familiar with the settings of the flash gun, you can fill in too much light that your subject looks flat on the image. Continuing with the challenge of shooting against the source of light. If you don’t have a flash gun and are a bit tight in your budget to get one, consider a reflector. A reflector reflects light off to where you point the reflector at. It this example, redirecting light on to the subject. The principle is exactly the same as using a flash gun - that is to fill in light. It’s light, often designed to be portable and collapsible so you can fold it into a carriable size to take it everywhere with you. A reflector is at a fraction of the price of a flash gun but you have no control over the intensity of the light. If you like to explore this option, check out this comprehensive guide on choosing a reflector. When your subject is not within the vicinity of reach of your flash gun, there’s nothing you can do besides embracing mother nature. For example, when shooting landscape where the subject might be the mountain or the entire scene. If the ambient light is too intense for your camera to capture, why not come back or wait for the right moment. This means waiting for the sun to come closer to the horizon. The perfect timing for this is often the “golden hour”. By definition, golden hour is the short period of time before sunset and after sunrise. During this time, the light is softer which helps to compress the dynamic range of the scene to fit that of the camera. 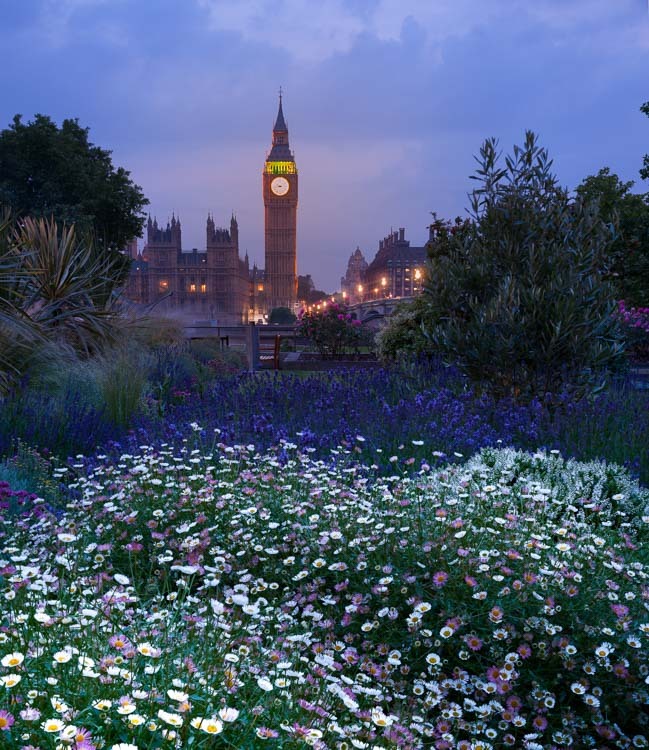 If you’re seeking for even softer ambient light, go for the blue hour. As opposed to golden hour, blue hour is the short period of time after sunset and before sunrise. The quality of the light is much softer and diffused. The dynamic range is compressed even further but you’ll need a tripod as the shutter speed is going to be longer because of low light intensity. Apart from the dynamic range of the scene, the other factor you can control is the dynamic range of your camera. 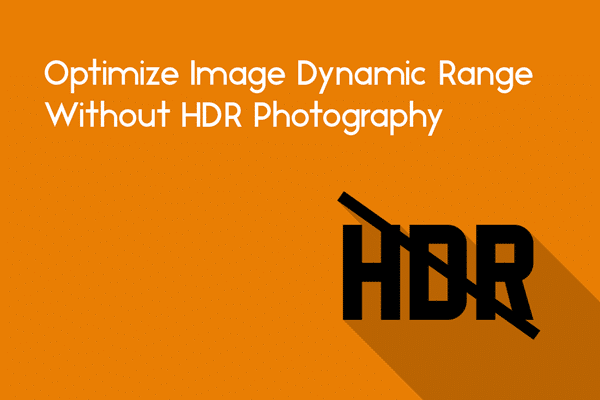 Here are four things you can do to get the best dynamic range for your images. I know this sounds obvious. If you’re not a user of HDR photography or just like to “get everything right in a single frame”, then maybe getting a new camera might be right for you. Of course, this is easier said than done because buying a new camera digs a hole in your wallet. You probably have to prepare financially before you can afford to do so. The down side of this is that you’ll never be on top of technology. There will always be new cameras surfacing the market with a better dynamic range. Personally, I think if the new camera has a significantly better dynamic range compared to your current one, by all means invest it for better image quality. If not, consider stick to it until a camera with a much better specs is available. You can use this website to compare your camera’s dynamic range to the others. For landscape photographers, this site scores camera’s dynamic range based on how they perform capturing landscape images. The moment you press on the shutter release, the shutter curtains open to expose the digital image sensor to light. The information is then stored in a single file called a Raw file - Raw because it hasn’t been altered in anyway, kinda like a raw rib-eye steak ready to be seasoned and cooked! What happens next depends on what you’ve set your camera to record - Raw or JPEG. In Raw, you get all the data recorded from the image sensor (approximately14-bit). If you set to record JPEG only, your camera will apply preset adjustments and compress the image to 8-bit. Any unused data deemed unnecessary for the JPEG file are discarded and unrecoverable. So, if you want better image dynamic range and more flexibility in post-processing, you should really shoot and save your files in Raw. 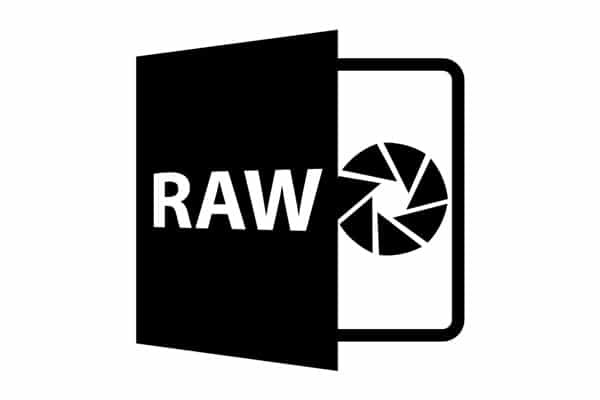 If I haven’t convinced you to shoot Raw, maybe this article will! Raw files are proprietary, this means each camera manufacturer has its own way of formatting the file. Pay attention to the Raw file’s file extension from different cameras and you’ll understand. When you want to view a Raw image, it has to be converted into a format that is viewable to us. This is because Raw files are written for cameras to read, not humans. For this conversion to take place, you need a Raw converter. Most image editing software today has a built-in Raw converter. But similar to Raw files, Raw converters are proprietary. Each software has its own way of reading the Raw data and apply its own algorithm to convert to JPEG or TIFF. Each Raw converter has different algorithm and therefore the same image may look slightly different from each software. Even though the difference may be minute, in some cases, all you need is that extra room to retrieve the details in those clipped shadows. Strictly speaking, this does not change the dynamic range of your camera or the image. But it’s a clever way to trick the mind into perceiving the image to have good exposure. The Zone System was pioneered by Ansel Adams and Fred Archer in around 1939. It’s a systematic approach to help photographers objectively defining the relationship between visualization and the actual result of the image. It’s not possible to explain everything about The Zone System in this post when there are books written entirely on it. What I’m doing here is to give you an ultra crash course. If you’re intrigued and like to explore further, here’s a good place to start. Essentially, there are 11 zones described in the system. 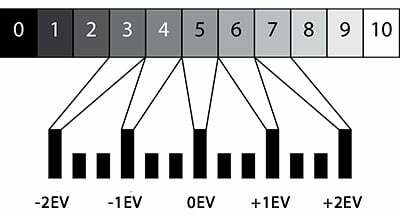 Each represents a tone ranging from pure black (zone 0) to pure white (zone 10) and each zone has a difference of 1-stop (of light). Before you slam off your laptop and go to bed, let me explain...it’s a lot EASIER than it looks. Let’s take zone 7. This is the zone for highlights in the sky, such as the clouds where it’s white but you can still appreciate some details within. It’s not completely blown out. Now that you know this, you can spot meter the clouds and dial down the exposure by 2-stops (either shutter speed or aperture; manually or use exposure compensation). Use this together with your chosen ISO, shutter speed/aperture to exposure the image. Because you’ve locked exposure to the clouds at zone 7, everything else will automatically fall into places. Isn’t that beautiful? Such an elegant way! Remember, you haven’t altered the dynamic range in anyway. There will be parts where the shadows might be clipped but that’s alright. This is because our eyes are more tolerant to clipped shadows and to clipped highlights. In summary, you’re going to have a more objective (and faster) way of getting the best exposure for your image even in the most challenging situation. I used to shoot a lot during the golden hour but I’m starting to appreciate the delicateness of blue hour more. It does feel like a magical moment and it brings out the serenity of the subject you’re shooting. The other one would have to be The Zone System. Although I haven’t been experimenting with The Zone System much, I do feel it’s a useful tool to have in every photographer’s arsenal. Instead of learning everything, why not pick one or two, and put in some effort to master it. If you want to produce better images, mater one of these techniques and put it to use. It will definitely help your images to stand out from the crowd.